Systech took the top prize in the category of Excellence in Pharma: Supply Chain, Logistics, and Distribution for its UniSecure authentication system at this year’s CPhI meeting in Madrid. The fingerprinting technology – which doesn’t require the addition of any new factor but relies on tiny variations in print or packaging and – can be used to identify product diversion and counterfeiting with a simple scan. The unique signature is stored in the cloud and can be verified using a mobile app. “UniSecure technology is empowering companies to protect their consumers, brand reputation and revenue from the counterfeit challenges of tomorrow, today,” said Systech chief executive Ara Ohanian (pictured right) after the win. 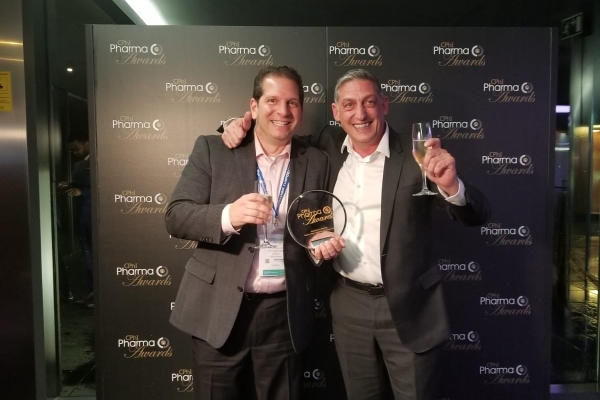 Amongst the other categories, Nanobiotix won pharma company of the year, and its chief executive Laurent Levy picked up the award for top CEO.